Last night on a Kids Week episode of Jeopardy! 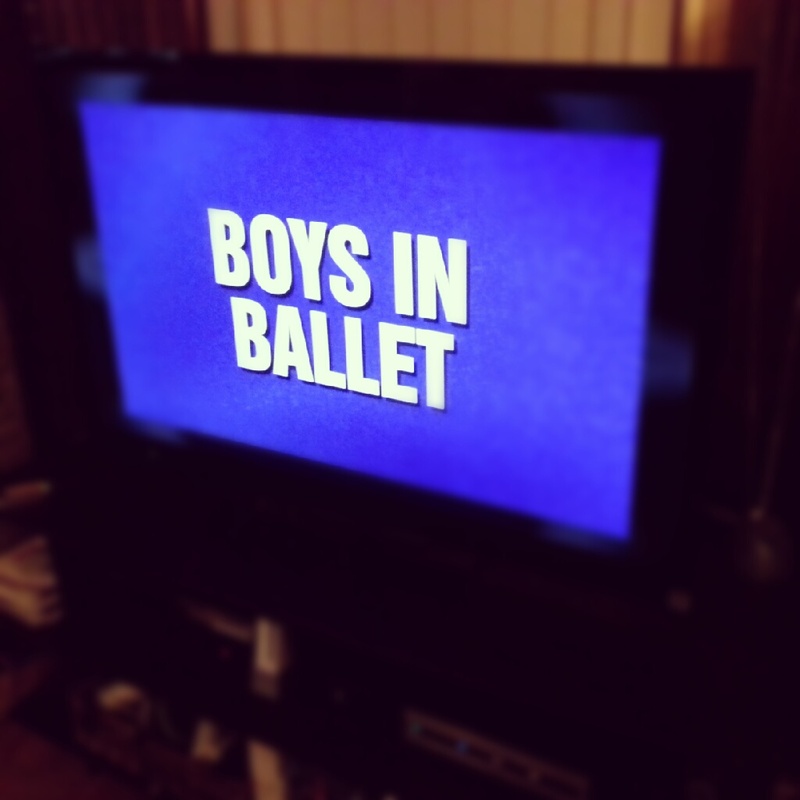 one of the categories was “Boys in Ballet.” Neat! The kids left it to the very end, though it turned out to be a pretty easy category. By the way I was surprised there wasn’t a clue about Billy Elliot . Here are the clues and responses; test your knowledge! 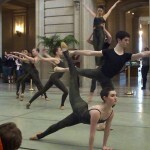 A quick-bite review: Founded in 2009 by dancer and choreographer Robert Dekkers, innovative dance company Post:Ballet capped its third season with a program entitled Triads , consisting of four pieces, including a world premiere. The first half of the program (sensual Mine Is Yours and darkly whimsical Happy Ending ) was beautiful but left me a little cold and puzzled. It was the second half that delivered. A pas de deux from Interference Pattern felt intimate and honest; Jonathan Mangosing and Christian Squires were a pleasure to watch. When in Doubt , whose original score included recorded spoken word from the dancers themselves, had depth both in choreography and meaning. » See also: Post:Ballet Facebook page, and Triads reviews from the San Francisco Chronicle and California Literary Review. San Francisco Ballet principal dancer Maria Kochetkova is certainly a ballet star, and the Vogue Theatre was packed last week with local balletomanes (as well as several dancers) for a preview of Masha , a documentary that follows Maria’s participation with the Bolshoi Reflections project in Orange County and Moscow. 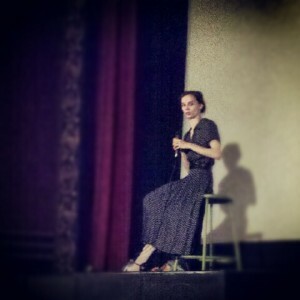 After the screening, Maria took the stage to answer audience questions, which ranged from her childhood and training to her onstage state of mind (“freaking out!”; she tries to work extra hard in the studio so she doesn’t have to overthink during performance) to if she had kids whether she would encourage them to take ballet (yes, why not?) to dream roles she hasn’t yet played (she’s starting to run out, but upcoming SFB production Cinderella appeals). I love Q&As. This was the first time I had attended one with Maria, and it was lovely to get a sense of her quick, sparkling personality away from the Opera House stage. 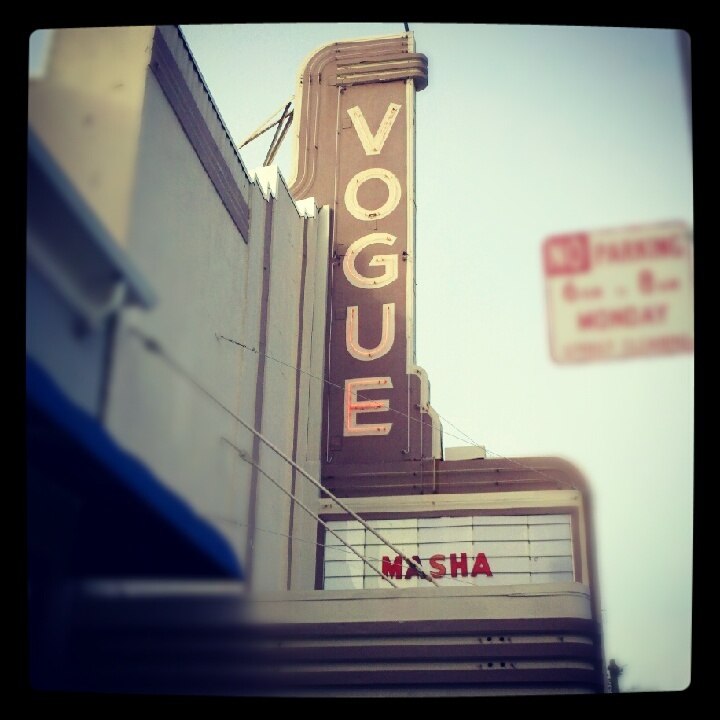 Directed by Bronwen Parker-Rhodes, Masha now continues in editing and is likely to have a further or final-cut screening later this year. I’m looking forward to it! » See also: A couple of videos featuring Maria Kochetkova, San Francisco Ballet Artist Spotlight; and one of the pieces featured in Masha , Jorma Elo’s One Overture . 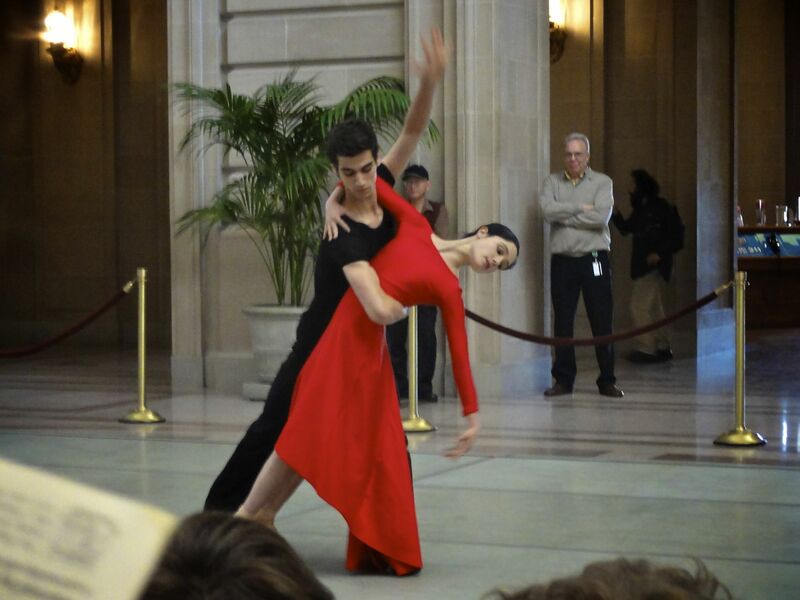 I am continually amazed not just at the amount of dance being performed in the Bay Area but also at its diversity, which was showcased recently at a couple of performances produced in conjunction with the Dance/USA annual conference, held in San Francisco last week. By the way I totally missed the boat with the Dance/USA conference: granted I am not a dance professional, but as a local dance geek-in-the-making I should’ve volunteered or networked my way into some of the sessions. Still, I followed the conference tweetage (and picked up a few interesting ideas to chew on) and made some great online connections. Hello, new followers! As I was saying, the conference put together a couple of performances (each with a different program) highlighting Bay Area dance companies, and I went to the evening performance last Thursday. I loved the range of dance: not only ballet and modern, but the fortunate concurrence of the San Francisco Ethnic Dance Festival facilitated plenty of ethnic dance numbers, including Native American, flamenco, West African, Hawaiian, and a fusion of South Indian classical and Japanese taiko, which I especially liked. I’ve been to a few similar Bay Area-wide dance concerts in the past few months now (namely benefits like Dances from the Heart and Get in Front, at which I had first seen two of the Dance/USA numbers), and each has inspired me in my own dancing and renewed my pride in the local dance community. I hope they continue, ’cause I’ll keep coming back for more. Notes: The dances I saw are listed below, some of which I’ve annotated with YouTube clips (not necessarily the same dancers). The program notes for the two performances are available in PDF (it’s in booklet format for printing, so the PDF layout is pages 4, 1 and 2, 3). 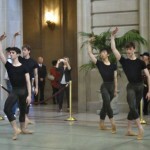 March 30: San Francisco Ballet, Program 5 (Tomasson: The Fifth Season , Liaang: Symphonic Dances , Robbins: Glass Pieces ). 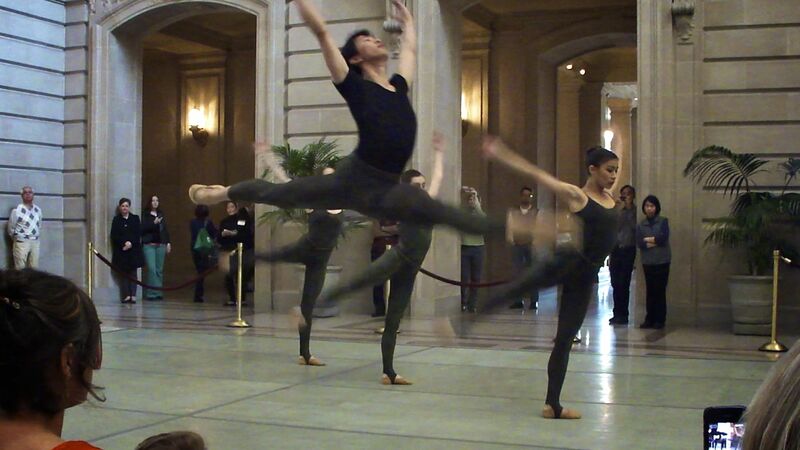 Intermission 1 at @sfballet. Fifth Season: clean, forceful; Frances and Davit were esp lovely. 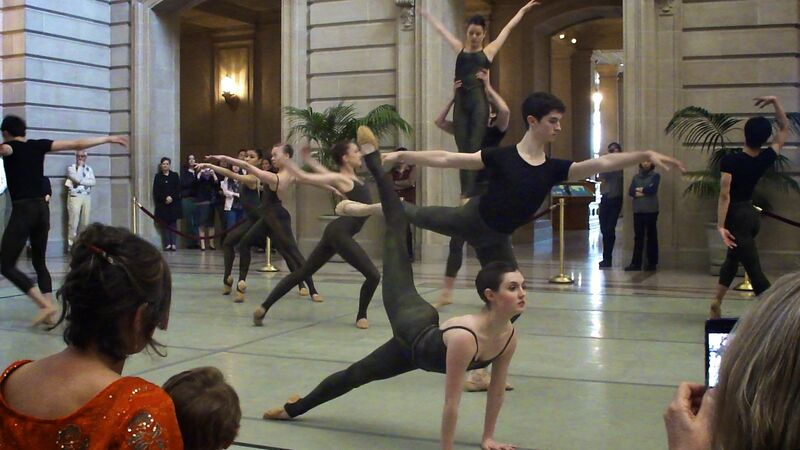 Intermission 2 at @sfballet. Symphonic Dances: dramatic score, some gorgeous PDDs. 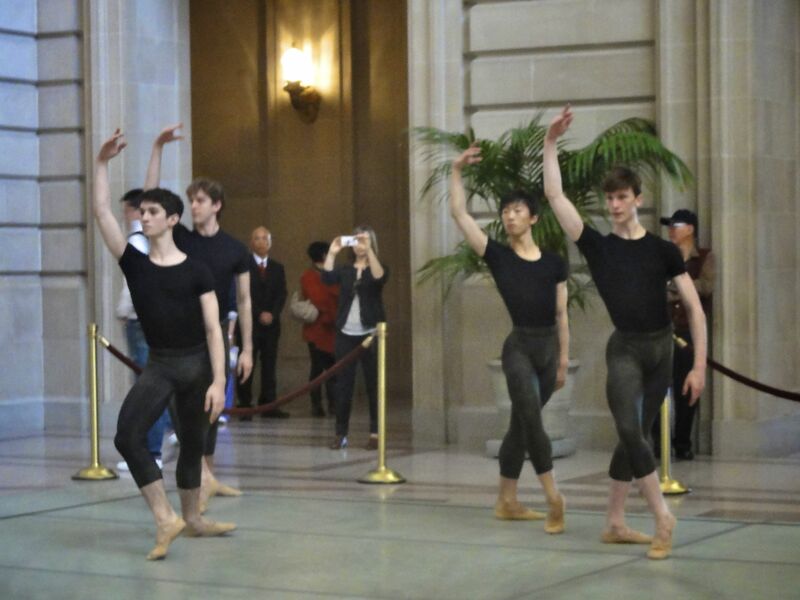 Final @sfballet work, Robbins’s Glass Pieces: refreshing chaser to the neoclassicism earlier in the evening. Sounds like a pair of mythological creatures, no? These are the names of two pieces danced by students of the San Francisco Ballet School trainee program at a free noontime performance today. Over my lunch break I headed to San Francisco City Hall to check it out, and as always was impressed and inspired by these kids (pre-professionals really). I think I had seen these pieces performed before, at the Ballet 101 session that included an introduction to the trainee program (and a trip to the costume shop: definitely a topic for another blog post, with pictures!). Dunas and Spinae are choreographed by Francisco Mungamba and Myles Thatcher, respectively, both former SFB trainees who are now in the corps with the company. 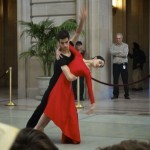 I only recently found out about these free performances at City Hall, called the Rotunda Dance Series. Presented by Dancers’ Group and World Arts West, they usually happen once a month and cover a wide range of dance styles, so if you’re in the area, check it out! I went to see San Francisco Ballet‘s Program 6 last Friday night: Raymonda Act III (Nureyev), RAkU (Possokhov), and the world premiere of Guide to Strange Places (Page). Raymonda was a glittering gala with Sofiane Sylve in command, and Guide to Strange Places was a striking work that I’d like to see again, but that evening I was completely blown away by RAkU . It was so dramatic and powerful that even after the intermission I was still reeling from the emotional punch. Yuan Yuan Tan, who is of course lovely and haunting in everything, was no less perfect here. RAkU premiered last year but I didn’t see it then, so I’m glad it was programmed again this year. And I felt like I had an additional musical appreciation of RAkU thanks to the Ballet 101 talk I attended (which, yes, I need to blog about) with composer Shinji Eshima and conductor Martin West. By the way, the ballet orchestra has just released a recording of the score. Intermission 2 at @balletsj. Interplay: I do love ballets that show off the guys. Tour en l’air faceoff! Final @balletsj piece, Graduation Ball: ha, so much fun. Bravo! So given the fact that I’m seeing another performance tomorrow night and next Friday night (San Francisco Ballet’s Programs 6 and 5, respectively), let me catch up with a quick listing of what I’ve seen recently and call it a day. Whew. I used to keep a spreadsheet of the ballets I’d seen–nerd!–with the pieces and choreographers noted; I need to get back to that! It’s nice to look back and jog your memory if and when you’ve seen a certain piece before. Aside from San Francisco Ballet, the other companies above are ones I saw for the first time: Company C, Diablo Ballet, and Ballet San Jose. It was great to check these folks out, and I look forward to seeing more of them in the future. 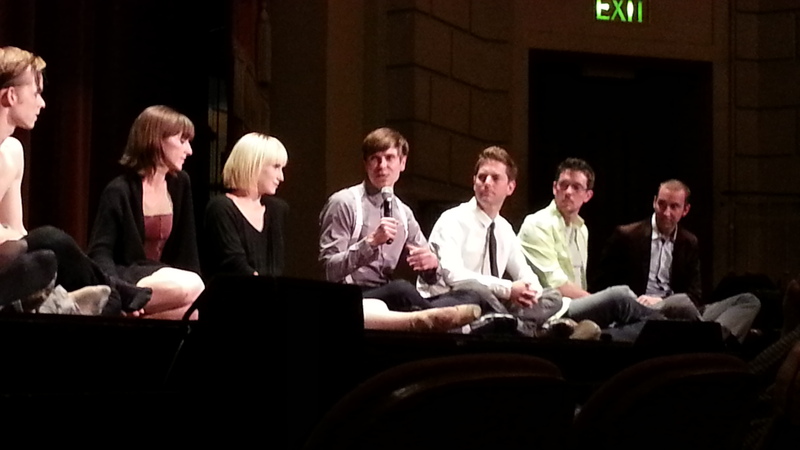 I went to the San Francisco Dance Film Festival for the first time last week and had a great time. Apparently it’s a relatively new festival, just having started in 2010, and it takes place mainly at the Ninth Street Independent Film Center. Friday evening’s program consisted of seven short films and a feature called Claude Bessy: Lignes d’une vie . All of the shorts were well done, and if I had to choose a favorite perhaps it would be In a Moment . About a man who loses his memory following a car accident, the film plays with themes of time, memory, and relationships. Again, they were all interesting in their own ways, but I’ll give another honorable mention, to There, Again , a project that began as a staged dance performance on a set with four dancers, each in one of four small, linked rooms. Everything from the lighting and staging to the music and choreography itself is mesmerizing. The second part of the evening was devoted to a documentary on legendary Paris Opera Ballet dancer and educator Claude Bessy. Actually I didn’t know anything about her beforehand, so the film was both entertaining and informative for me. What a career, from Paris to New York to Hollywood and back. I loved all the archival rehearsal and performance footage. (It draws from many sources, including a couple of documentaries on the POB school, parts of which I’d seen online before.) 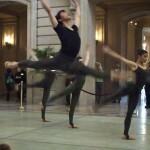 Watching Lignes d’une vie makes me want to jet off to see the Paris Opera Ballet and the Palais Garnier this very minute! 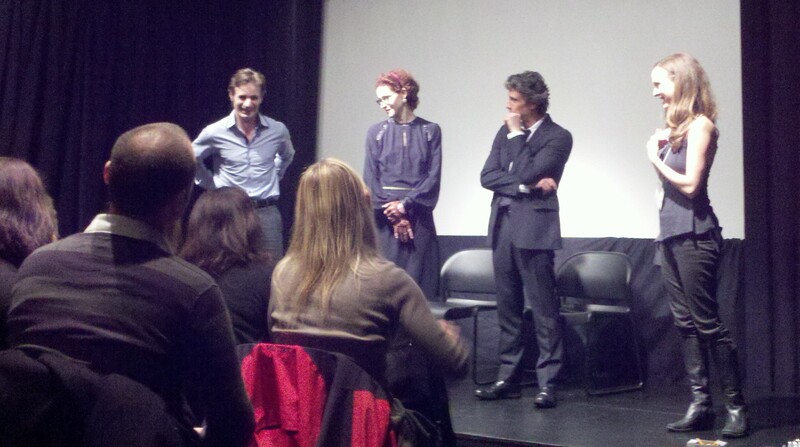 Following the screening, director Fabrice Herrault was on hand for an insightful Q&A along with San Francisco Ballet principal dancers Pascal Molat and Sofiane Sylve. Pascal (below, far left) especially talked about his experience at the school and Madame Bessy as a “tough love” kind of figure. I enjoyed the evening so much I wish I’d also gone to the other festival programs, especially to see Never Stand Still and Joffrey . In any case I hope to make it to many more festivals in the future!